Welcome to THT everybody! Happy 12/12/12 day! :) I hope that your week is going well. I know things are rather crazy with the holidays upon us. I can not believe we are less than two weeks out before Christmas. We had a fabulous turn out last week! I can't thank you enough for taking the time to party at my place! I saw a TON of mantels while browsing all the links. If you linked up your mantle to THT last week and get a chance be sure to link it up to the mantel party so that readers can view all the holiday mantels in one place! :) The mantel party will stay open till midnight on the 31st. Now on to my picks from last weeks party. It is always so hard to choose. 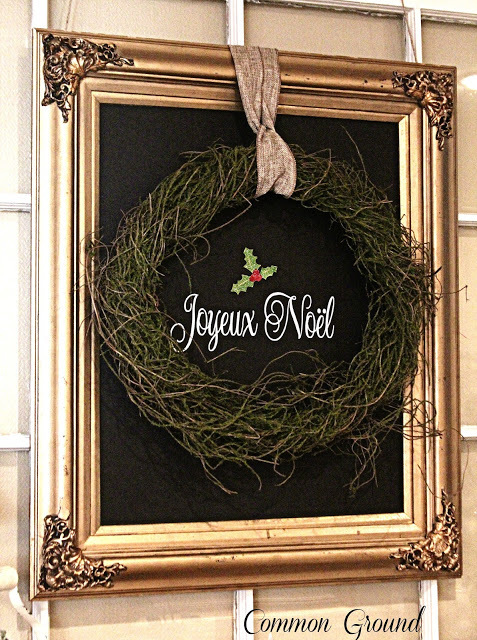 Debra over at Common Ground shared with us how she accomplished her faux chalkboard! 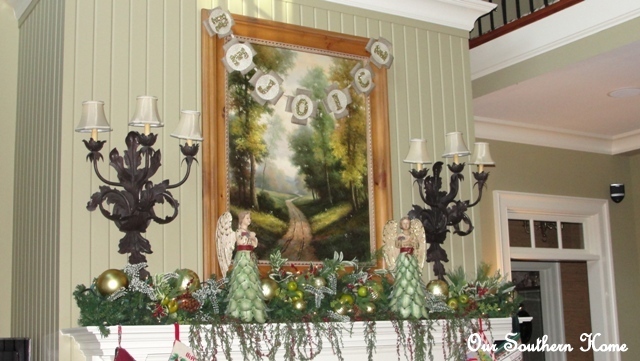 Christy over at Our Southern Home showed us her amazing Christmas mantel. 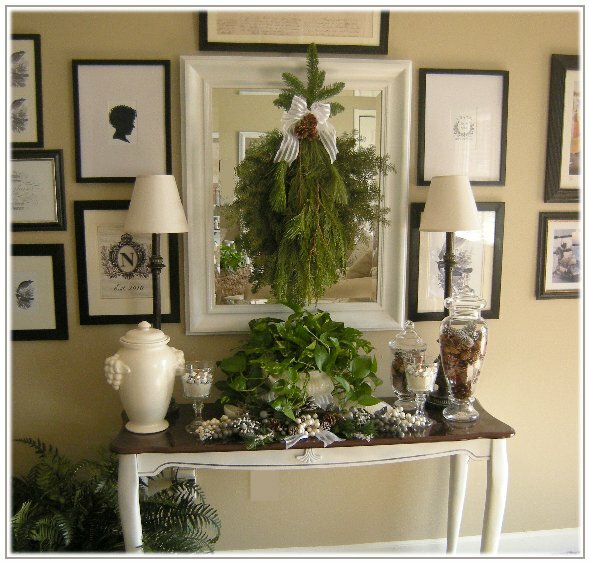 Sonny from 155 Dream Lane shared her gorgeous foyer all decked out for the holidays. 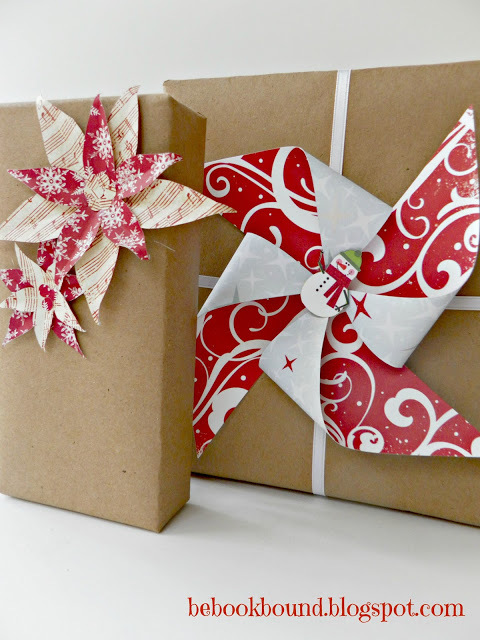 And the gals over at Be Book Bound shared with us ideas on wrapping all those gifts we bought and are dreading pulling out. Lovely features, Thanks for hosting. Have a great week. Great party Pamela! Thaks for hosting!! Thanks - I love the mantel you featured here. Lovely! Hi Pamela, lovely features this week. I am slowly adding Christmas decorations but haven't added a tree yet. Have a great week. Thank you for hosting. Thanks for hosting and great features! It's so much fun to have a link to share for the past few weeks!!! I feel blessed to be creative again. What wonderful features. It must be so hard to choose only a few. 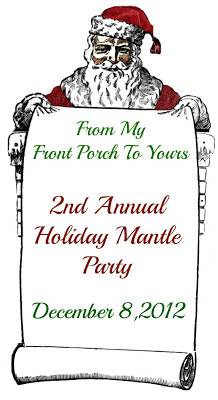 :) I added my mantel to your wonderful party. Thanks for hosting. Thanks so much for hosting.! Such wonderful features! Great features Pamela...thanks for hosting!! Thanks for hosting. I've been working on outdoor decorations for my office/workshop porch. Glad I could join in. Hi Pamela! Oh, what wonderful features! 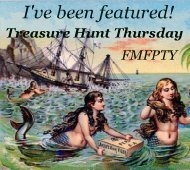 I'm linking up to your party today! Thank you for hosting.